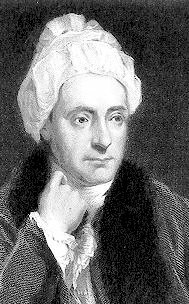 Christian literature has few stories as troubling as that of William Cowper, the eighteenth-century poet and close friend of John Newton of “Amazing Grace” fame. A long-term depression sufferer who attempted suicide multiple times and died in despair, his is hardly an uplifting story. Yet it produced some of the most beautiful – and, often, comforting – poetry written in English. This month I will look at four of his poems, ranging from the tragic to the comical, to appreciate the genius of a man who suffered much yet also endured much and whose work bore fruit that he could never have imagined. It has always interested me the connection between poets/artists and illness such as depression, why is this? Do we need to really hit great lows in order to create beautiful works, if so is it worth the pain or is it actually a good release for people like Cowper? It’s an interesting connection, isn’t it? I think creative types are often troubled by complex emotions which make them good at what they do but also require a positive outlet like writing or art. One way of looking at it is that there are many people in the world who struggle with mental illness, creative or not. Artists who have known those struggles can articulate them in positive ways and so can be a blessing to others who may not have the resources in themselves to process what they are dealing with. Henri Nouwen says something like this in “The Wounded Healer”.